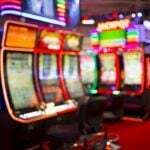 Lottery games have become such a central part of the gambling culture of countries where it has been made legal that players will try and seek any edge to improve their odds of winning the massive jackpot prizes. 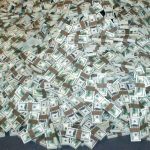 Unfortunately, that has given rise to some myths that there are strategies to help your chances of winning the lottery. Here, we debunk some of those strategies. One tip used by those charlatans that proclaim to hold the secret to increasing your odds of winning the lottery is suggesting that you set yourself a weekly playing budget. They state that this will allow you to work more methodically and use your lottery budget to its full potential on one game rather than aimlessly trying to play a number of different games. The truth is that you could spend your budget on one game, two games, or all of the games available. In the end, you will still have the same chance of winning on each particular game. There is a conspiracy theory amongst certain sections of lottery players that the quick pick selections are chosen to give players the least chance of winning. 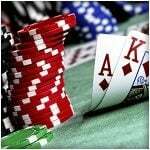 Some players believe it is the lottery company’s secretive method of gaining an advantage over the players. As a result, it is advised you pick your own numbers. In reality, it doesn’t matter whether you pick numbers yourself or get a computer to pick them for you. Each set of numbers stands the same chance of winning as the next set of numbers. 1-6 are just as likely to turn up as 7, 15, 22, 34, 42, and 49. This is more the stance of a paranoid player but some players are adamant that if you pick a set of numbers then you must stick with them. The thinking behind this is that it will be sod’s law that the week you decide not to pick the numbers you started with, it will be that week that those numbers are drawn. This can perhaps be more attributed to players fearing that gutting feeling of having picked the correct numbers, but in the wrong week as opposed to genuinely believing playing the same numbers each week will give them a better chance of winning. That said, there are some players that believe if they pick a certain set of numbers long enough then they will eventually win. For some reason, apes writing the works of Shakespeare springs to mind here. The method of making your selection consist of sequential numbers is surely a strategy that was devised by players that possessed obsessive compulsive disorder. The theory of this strategy is that a sequential ordering of numbers will give the player a better chance of winning. It is impossible to prove this theory, generally because it is a load of garbage. Amazingly, there are players that still use it as a strategy. No doubt this was a strategy created by a player that had spent a lot of times at the roulette tables. 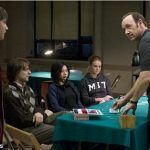 It certainly holds a lot of similarities to the classic roulette technique of reinvesting your winnings to improve your chances of winning at the table. Unfortunately, roulette deals with slightly smaller outcomes and focuses on the red or black outcome. 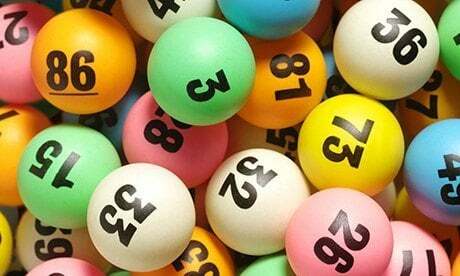 The lottery is dealing more with odds of 1,000,000/1 and that’s in a best-case scenario for the jackpot prize depending on which country’s lottery you are playing. For example, the US Powerball rollover offers players odds of 292,000,000/1 for winning. Re-investing your winnings is only a sure fire way of losing your winnings. Once again, the creator of this strategy must have been a roulette player. The thought process of picking numbers that haven’t appeared for a while is similar to when roulette players will back red if black has dominated the play. Or they will back Evens numbers if the Odds have been landed on a few spins in a row. There is no proof that this theory works. It is simply human nature to look for patterns and to exploit them. At the end of the day, there is no strategy or tactic that guarantees a lottery win or has been proven to increase your chances of winning. If players want to pick numbers that mean something to them, have a pattern to them, or are just randomly selected, then it does not matter. It will be the same set of balls in that machine all with the same chance of being chosen. When the balls are spinning and you’ve chosen your numbers, all you can do is cross your fingers and hope that you are the player that wins the jackpot prize. After all, somebody has to win it! A Brilliantly Simple Way To Win The Lottery?